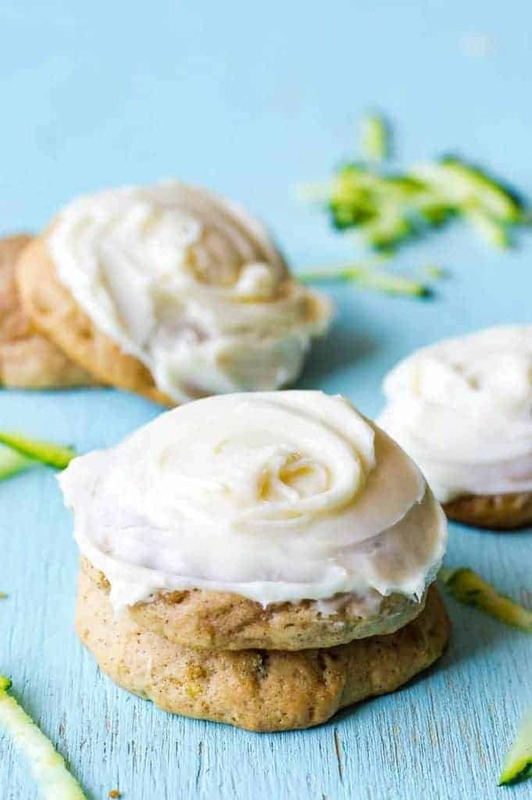 Zucchini Cookies with Cream Cheese Frosting. These soft, fluffy cookies are loaded up with zucchini, but taste so good you wouldn’t know it! Baked with a bit of spice and topped with a cream cheese frosting swirl, there’s no better way to enjoy zucchini. These Zucchini Cookies are soft and remind me of thick bakery style cookies. 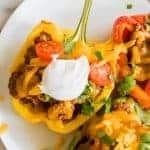 Loaded up with zucchini for a little extra moisture and vitamins. The cream cheese frosting on top is the perfect complement to the subtle spice of the cookies. 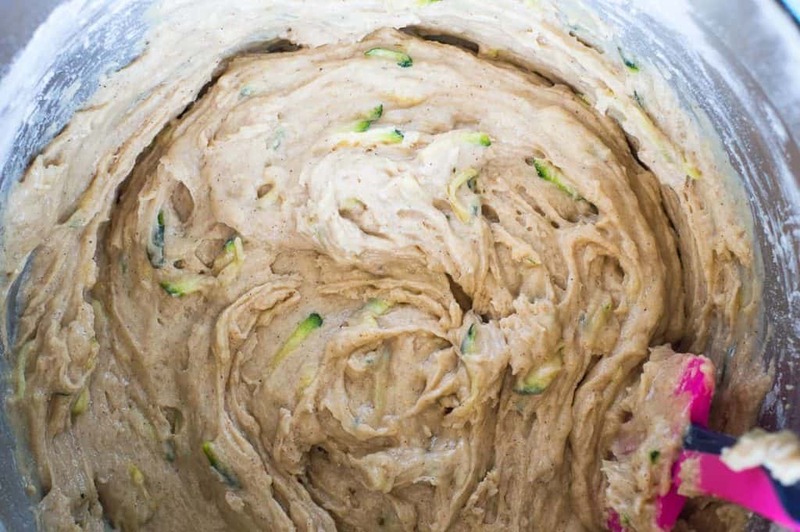 To make these soft zucchini cookies you need to shred up the zucchini. 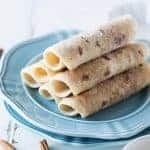 For baking these cookies we don’t want to squeeze out any of the moisture from the zucchini because we want to have that soften up our batter to make these cookies amazingly soft and moist. If you’ve ever had zucchini bread these cookies remind me of that. 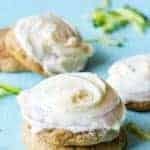 As they bake, they puff up slightly, creating the most perfect little domes that just beg to be slathered with a swirl of cream cheese frosting. 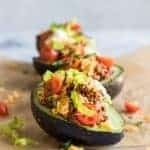 These are such a fun and easy treat to whip up when all the extra zucchinis come pouring in from the garden or the markets are overflowing. 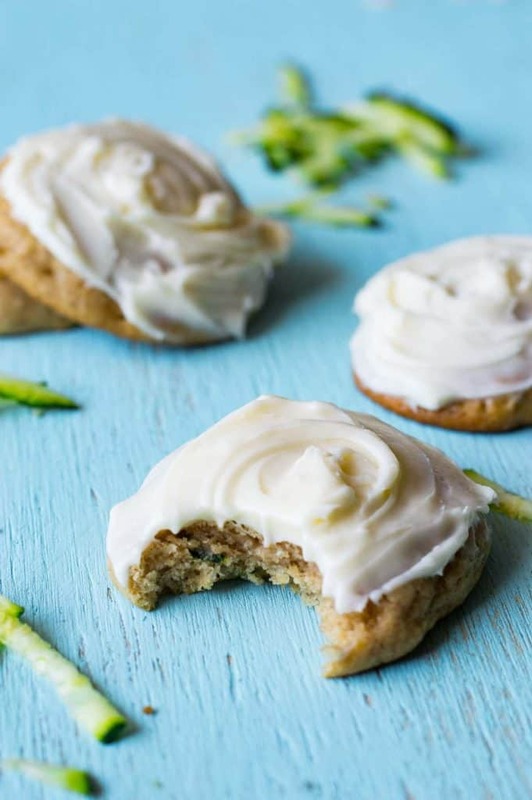 WANT TO TRY THESE ZUCCHINI COOKIES WITH CREAM CHEESE? 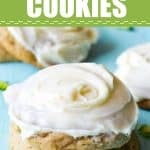 These soft zucchini cookies taste like zucchini bread and are topped with a thick cream cheese frosting! Preheat oven to 350 degrees, line a cookie sheet with parchment paper or grease it with baking spray, set aside. In large mixing bowl beat the room temperature butter for about 30 seconds until creamy. Add in the brown sugar, mix on medium for another minute or two until fully combined. Stop and scrape the bowl as needed. Add the egg and beat together for about 10-15 seconds. 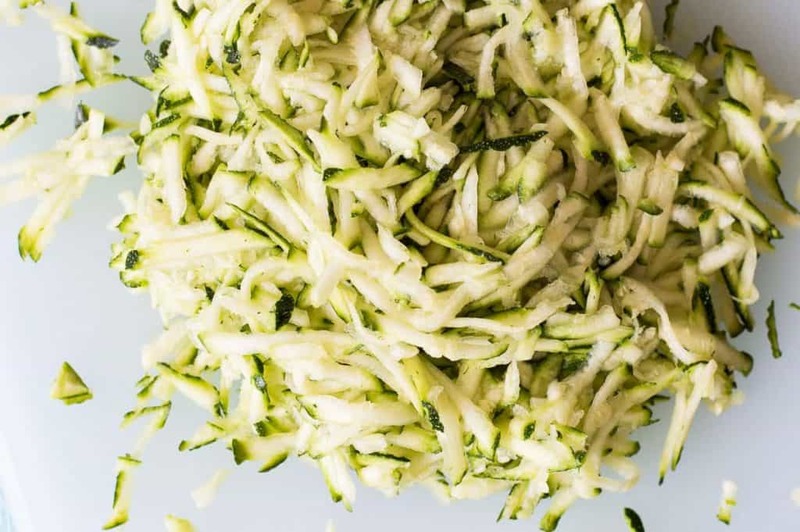 Add in the shredded zucchini and mix slowly until just combined. In another medium size mixing bowl add the flour, baking soda, cinnamon, cloves, and salt. 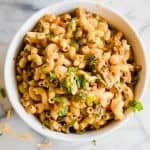 Stir together with a fork or whisk to combine. Slowly add half the flour mixture while mixing on low speed. Then pour in the milk. Mix on low to combine. And add in the last of the flour mixture. Mixing until just combined. The dough will be light and soft. Using a cookie scoop, scoop the dough onto the prepared cookie sheet. 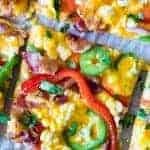 Bake at 350 degrees for approximately 12 minutes, until the edges are a light golden brown. Remove from oven and allow to cool on the cookie sheet for about 5 minutes, then remove to continue cooling on a wire rack. Recipe will make about 25 cookies. In large mixing bowl beat the cream cheese and butter together until light and fluffy. Add in the vanilla extract. Slowly add in the powdered sugar, beat on low speed until fully combined. Spread frosting on top of cooled cookies. Serve immediately and enjoy!